NordVPN vs TunnelBear VPN vs NordVPN vs TunnelBear VPN 2019 - 5 Tests, 1 Winner! NordVPN is an exceptional VPN provider with around 4,900 servers in 62 countries. TunnelBear is also a well-known provider, operating a far smaller network of around 20+ plus servers in the same number of countries. NordVPN offers dedicated IP addresses and has advanced leak protection, whereas TunnelBear only offers shared IPs. Another major factor that separates these two VPNs is bypassing geoblocks of US content. NordVPN can flawlessly unblock Netflix-USA, while TunnelBear has struggled to do the same. Both providers employ advanced technologies like Double VPN, which encrypts your traffic twice to prevent detection. They also both provide dedicated apps with simple designs for MacOS, Windows, iOS, and Android devices. Features like ad blocking, tracking protection, and a kill switch can also be found in both services. Finally, Tunnelbear and NordVPN both support torrenting and offer unlimited bandwidth for any kind of traffic. It’s a compelling contest, but a clear winner emerges as we extend the comparison across several categories. TunnelBear is a Canada-based VPN provider that was founded in 2011. For a free service, they offer a lot, but the paid service isn’t something to go wild over. What users will find entertaining, though, is the bear theme throughout the entire site. Multi-platform Features TunnelBear has applications for almost all platforms, including Windows, Mac, Android, and iOS. With nearly 5,000 servers in 62 countries, very affordable prices, a host of security features, and a proven ability to unblock Netflix in any country, NordVPN offers one of the most complete VPN services on the market - and if you use one of these coupon codes, you can get it for a great price. TunnelBear also provides a reliable service, with dedicated apps for all major platforms and fairly fast servers. 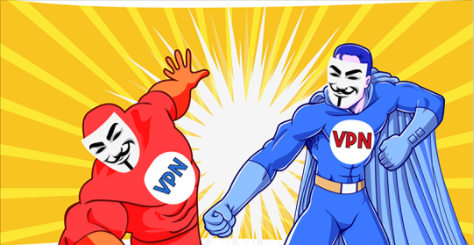 Best VPNs for Torrents With hundreds of servers optimized for P2P file sharing and many security features to keep you anonymous, NordVPN provides a more reliable VPN for torrenting. TunnelBear also allows torrenting on its servers, but offers fewer choices and cannot match NordVPN’s overall speed. With hundreds of servers optimized for P2P file sharing and many security features to keep you anonymous, NordVPN provides a more reliable VPN for torrenting. TunnelBear also allows torrenting on its servers, but offers fewer choices and cannot match NordVPN’s overall speed. Best VPNs for Windows With NordVPN’s Windows app, you can expect to find a kill switch, access to obfuscated servers, and a built-in DNS service that allows users enter their own DNS configurations if they choose. TunnelBear does not have obfuscated servers or a DNS tool on its Windows app but does offer a kill switch and its unique GhostBear technology for bypassing hard-to-crack geoblocks. With NordVPN’s Windows app, you can expect to find a kill switch, access to obfuscated servers, and a built-in DNS service that allows users enter their own DNS configurations if they choose. TunnelBear does not have obfuscated servers or a DNS tool on its Windows app but does offer a kill switch and its unique GhostBear technology for bypassing hard-to-crack geoblocks. Best VPNs for Android NordVPN’s dedicated Android app offers a choice between the TCP/UDP protocols and features public WiFi protection and access to specialty servers for different needs, including P2P and streaming. TunnelBear also provides an Android app that offers tracking and WiFi protection, along with double VPN encryption technology. NordVPN’s dedicated Android app offers a choice between the TCP/UDP protocols and features public WiFi protection and access to specialty servers for different needs, including P2P and streaming. TunnelBear also provides an Android app that offers tracking and WiFi protection, along with double VPN encryption technology. Best VPNs for Mac With a unique Cybersec feature that actively blocks ads and prevents malware attacks, NordVPN provides a very secure service with its dedicated app for MacOS. TunnelBear’s MacOS app also includes an ad blocker, together with additional features like double VPN technology. With a unique Cybersec feature that actively blocks ads and prevents malware attacks, NordVPN provides a very secure service with its dedicated app for MacOS. TunnelBear’s MacOS app also includes an ad blocker, together with additional features like double VPN technology. Best VPNs for iOS NordVPN provides a reliable service for iOS with its dedicated app that uses the IKEv2/IPsec VPN encryption protocol. It features an automatic kill switch and access to dedicated IP addresses. The key strengths of TunnelBear’s service for iOS are the app’s simple design and the inclusion of ad blocking and tracking protection. NordVPN provides a reliable service for iOS with its dedicated app that uses the IKEv2/IPsec VPN encryption protocol. It features an automatic kill switch and access to dedicated IP addresses. The key strengths of TunnelBear’s service for iOS are the app’s simple design and the inclusion of ad blocking and tracking protection. Best VPNs for USA NordVPN offers nearly 2,000 obfuscated US servers optimized for bypassing very tough geoblocks from any location worldwide. It unblocks Netflix flawlessly and provides one of the fastest VPN services on the market, which is essential for streaming HD content without interruptions. TunnelBear does not guarantee that its service can unblock Netflix-US, and has sometimes failed to do so when put to the test. However, it is able to access many other US websites. NordVPN offers nearly 2,000 obfuscated US servers optimized for bypassing very tough geoblocks from any location worldwide. It unblocks Netflix flawlessly and provides one of the fastest VPN services on the market, which is essential for streaming HD content without interruptions. TunnelBear does not guarantee that its service can unblock Netflix-US, and has sometimes failed to do so when put to the test. However, it is able to access many other US websites. NordVPN outcompetes TunnelBear in every category and wins this comparison outright. Its network is huge and offers dedicated servers for every internet activity, including P2P and streaming. It also takes security very seriously, offering malware protection through its unique Cybersec feature. NordVPN makes no compromises whatsoever when it comes to keeping users anonymous, as shown by its strict no-logs policy and advanced leak prevention.